In 1937, the nation was struggling to recover from the Great Depression. 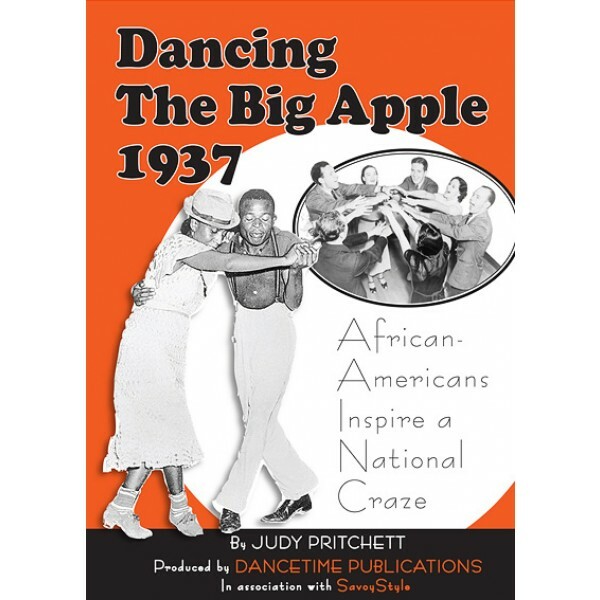 The Big Apple dance was an elixir in hard times; Americans from every background let loose in this infectious circle dance.This fascinating documentary portrays the Big Apple craze from its serendipitous discovery and explores the African ceremonial roots of this exuberant dance. As this video reveals, it was more than just a dance: it was a unifying experience that provided healing and joy at a time when there was little to celebrate. Cued by a caller, dancers performed moves from the Lindy Hop, Shag, and Charleston, and popular jazz steps like Trucking and Pecking. Individual dancers or couples were invited to “Shine” in the center of the circle. 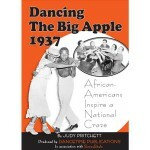 The dance craze portrayed in Dancing the Big Apple 1937 was put in motion by a remarkable multi-cultural collision. One night, three white teenagers entered an African-American synagogue-turned-nightclub in Columbia, South Carolina. There, they saw a circle dance improvised with popular swing music and called it the “The Big Apple” after the nightclub. Soon, Americans from coast to coast and every class, including FDR’s family in the White House, were doing the Big Apple. The dance was featured in Life Magazine in 1937. The documentary’s Writer-Director, Judy Pritchett, spent six years researching The Big Apple dance and has lectured around the world on the subject. In addition to her twenty-plus years of experience as a swing dancer and historian, she brings a unique insight into the material because of her experiences as a civil rights worker in Mississippi in 1965 and, later, as a graduate student in anthropology at Columbia University. 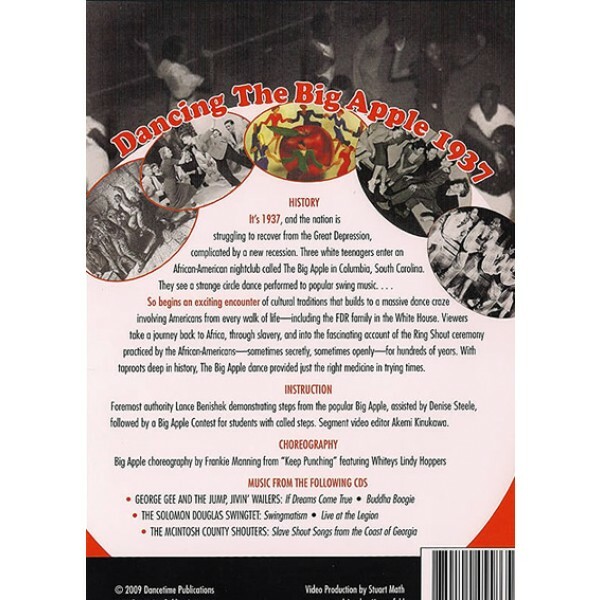 Extra features include: leading Big Apple historian Lance Benishek teaching Big Apple steps and holding a Big Apple contest; and the full Big Apple routine from the film “Keep Punching”. 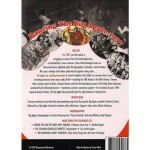 Produced by Dancetime Publications in Association with Savoy Style.